Re| Has the logo had its day? In a world where personal brands, social media and an absolute plethora of content stretches into every waking moment of our lives, what role does a logo play in contemporary branding? There are simple answers: the ongoing interdependence between corporate reputation and corporate brand is always a consideration. The logo is the trust mark that symbolises the heritage and history of an organisation and its people to all their stakeholders, not just their customers. This symbol is a living artefact and signature of the organisation, its past and all its aspirations. But brands have never been more dynamic – they are moving and evolving before our eyes everyday. Channel-agnostic brand platforms are built and designed to stretch across a multitude of touch points and expressions – eagerly focused on delivering a truly differentiated “experience” for consumers, anytime and anywhere. So yes, an organisation’s logo or brand mark will continue to be the final distillation of all the brand’s attributes – the “signature” of a brand. Why? Because in contemporary marketing logos are the ultimate corporate arrogance. As millennials take their place as the great arbiters and influencers of consumer preference and sentiment, they are judging and shaping brands in real time. They embrace brands that are active and meaningful to them. By meaningful I mean enabling – helping them shape their future state. So brands can no longer afford to be overtly single-minded. They must be able to engage and sustain a whole range of different customer relationships. 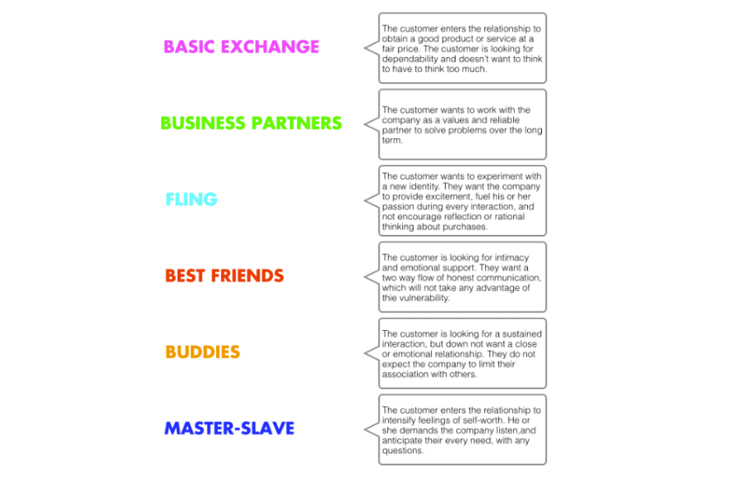 In a recent Harvard Business Review article Avery, Fournier & Wittenbraker (2014) introduce the challenge of relational intelligence to readers, suggesting companies “don’t understand how many different kinds of relationships customers can have with brands, nor do they know how to reinforce or change those connections”. For us at Re we found this incredibly relevant and interesting because it echoes the challenges our clients face everyday. Apart from the ongoing repercussions of the shared economy on branding, we believe the construct of relational intelligence, is a significant lens to consider when embarking on any type of rebranding program. Sure, it is the intersection of CRM and brand, but this is what makes it so interesting. As brand practitioners, the danger here is not to over-simplify these insights as just simple communications tasks – that is, just targeting communications to different relational typologies. This is about ensuring that the brand strategy and its expression is flexible and broad enough, to connect and support the expectations of any of these typologies. This provides a significant lens for attribution definition as well as brand design, experience and communication. So maybe it’s not just the logo that is dead, maybe it’s the traditional corporate brand systems that are often governed within an inch of their lives? So is the logo really dead? Well no. We will always use logo’s because they are the ultimate identifier of an organisation. However, singular static corporate brand systems are now irrelevant. What replaces them is dynamic and living design systems that can flex and stretch and build experiences across a broad range of customer typologies and channels. This is why life in a branding agency has never been more exciting – we are constantly evolving and revitalizing the brands we create to ensure they are constantly compelling and relevant to the consumer. So the logo might be here to stay … but the corporate guideline document should go the way of the Dodo!